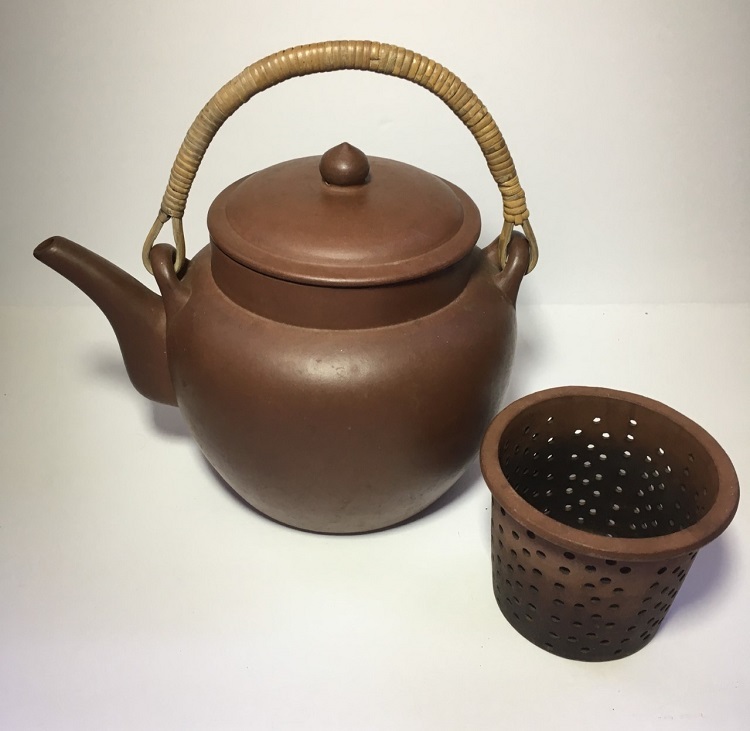 this is the 2nd of 2 recently purchased Yixing teapots that I have posted here on the forum. Tapering ovoid shape with bamboo handle and strainer basket which rests neatly on an inside rim. in addition, there are strainer holes on the inside at the base of the spout. the recessed foot has a China Yixing mark. there are 2 small marks on the underside of the lid. 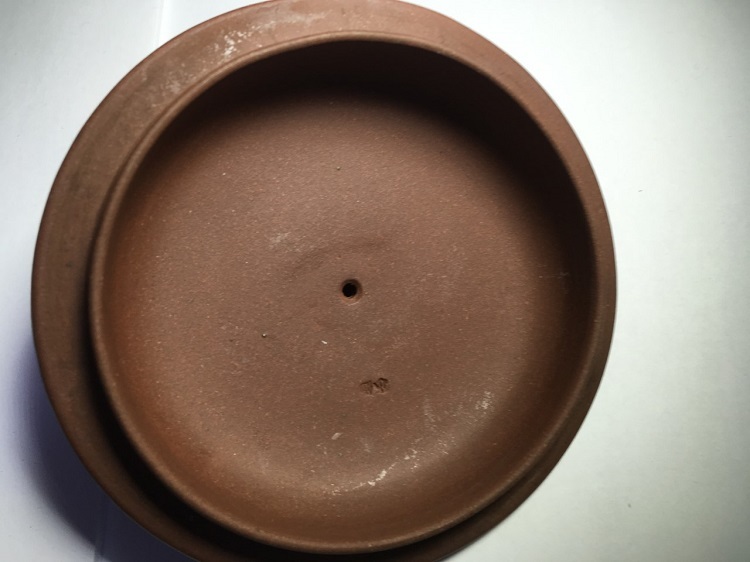 Hoping to learn more here about this pot and the marks. The seal script mark reads down and across from the top right as "Zhongguo Yixing" (China, Yixing). With most Chinese ceramics, that kind of mark would mean Republic era, but I'd feel more comfortable if an Yixing collector verifies the call. Many thanks for your post. I have since found that the Zhong Guo Yíxīng mark was first used during the Cultural Revolution period, when it was forbidden for the artist to use any personal stamps to mark their wares. The generic China Yixing mark was used in their place. 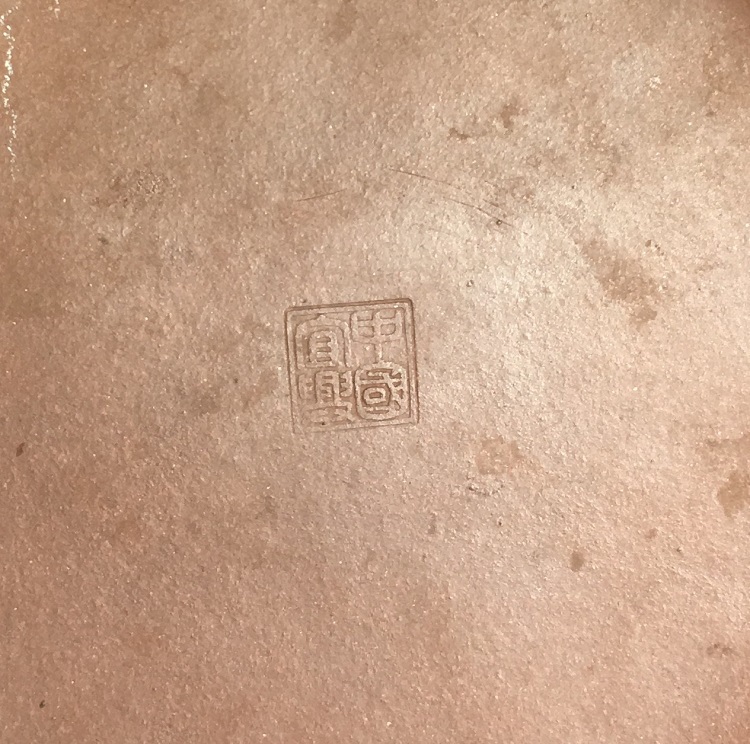 The presence of the mark itself would not authenticate a pot as from the Cultural Revolution period, as some factories are still authorized to use the mark.